This is the fifth story in a series of articles on the Andaman Islands launched by Nature inFocus in an attempt to showcase the natural history of these islands from the unadulterated perspective of its unique biodiversity. Each article from the series is titled with a line from J.R.R. Tolkien's Lord of the Rings poem – “All that is gold does not glitter." On the dreariest of days at the field station, the mention of a good field story and eyes twinkle across the table. In the Andamans, a topic that never fails to grab attention is that of Barren Island. This tiny island, just three kilometres wide and romantically remote, is the only active volcano in South Asia. Periodically coughing up smoke and lava, this volcano is an unhealing pus wound at the edge of the Indian and Burmese tectonic plates. The volcano has been erupting repeatedly over the last decade and several visitors report to have seen smoke and ash on their trips. 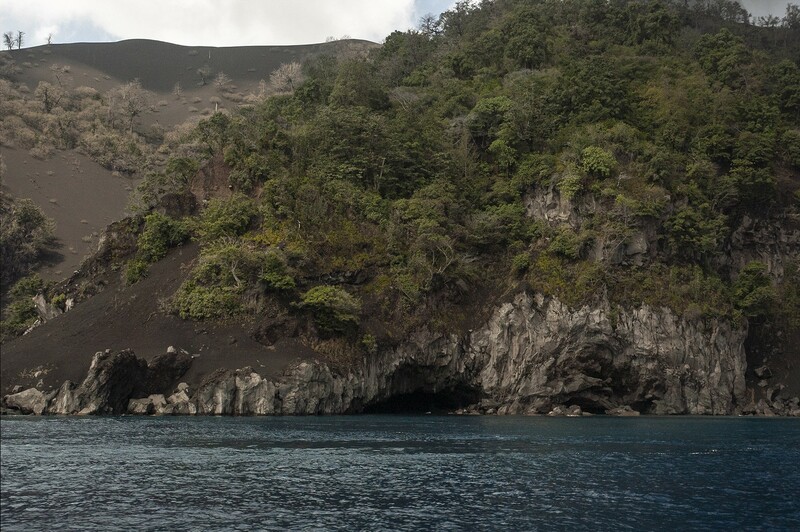 But unlike what the name suggests, on the other side of the caldera, there is a thick cover of vegetation towards the southern and eastern parts of the island. 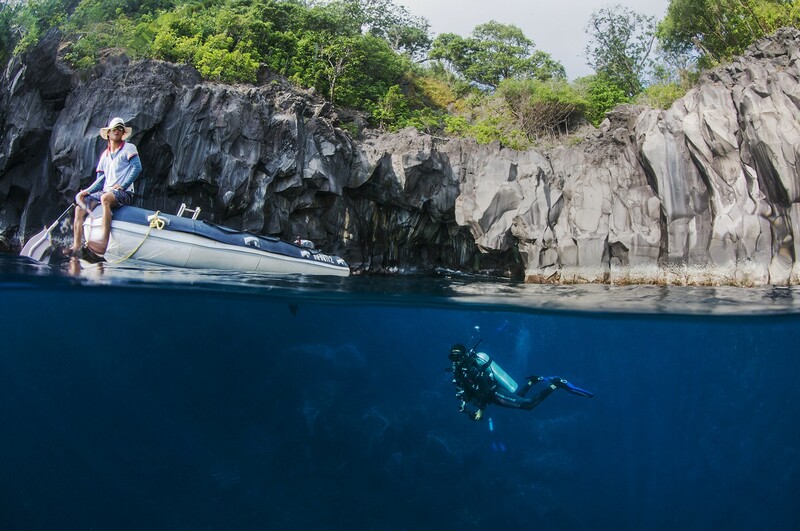 I have never visited Barren island (opportunities to visit are rare) but friends who dive near the island bring back stories. These stories are always surreal – unimaginably vibrant coral reefs, hot spring-like water in patches, stray goats still surviving from an introduction decades ago, and once even stranded, dehydrated poachers. Manta Rays and other large fish like to roam these waters, resting and feeding. As the volcano has changed the properties of the land, so has it with the sea around it. We know little of how the volcano affects reef diversity, but once you come out to the surface, you get invariably covered in powdery volcanic ash – a bit of the earth’s mantle dusted on you like pollen on a bee. Volcanoes are the most common way that new land is made. Found at the confluence of two or more continental plates, they are imperfect joints from where magma, the molten rock under the crust of the earth, bubbles out. It works like a pressure cooker whistle that blows steam out when the pressure inside is too high. Some cultures consider them sacred and so do ecologists, in their own way, because of their significance in long-timescale ecology. Think of a volcanic eruption, and you think of hot lava, death and destruction. Its immediate effects are fiery and violent – destroys everything in its way, petrifies life, and causes long distance forest fires. It also spits ash into the atmosphere, darkening and polluting skies for weeks or even months. But this ash is rich in sulphur dioxide, an atmospheric coolant, as opposed to carbon dioxide and other industrial emissions that warm the atmosphere. Volcanic ash, thus, is responsible for “volcanic winters” – a period of cold temperatures following large volcanic eruptions. Two large sets of volcanic events (many volcanoes erupting in a region for an extended period of time) that took place 250 and 200 million years ago led to several years of colder temperatures afterwards, causing two mass extinctions of dinosaurs that were not adapted to survive the cold! But volcanoes are not villains in this long timescale; once cooled, lava forms igneous rock, rich in many minerals that are rare in the earth’s crust. Nitrogen, phosphorous and potassium, are the three main nutrients important for plant growth, and therefore, key components of fertilisers. Nitrogen is fixed from the atmosphere into the soil by microbes, but phosphorous is difficult to find on the earth’s surface. Volcanoes are the only natural input of new phosphorous into the soil, making volcanic rock highly desirable, botanically speaking. For sale, with immediate effect! A volcanic rock, because of the new space it creates and the nutrients it offers, is prime real estate for plants, but who can colonise? Although it is rich in nutrients, tree seedlings cannot grow on bare rock. A new community has to be assembled from simple to complex in a sequence – a process called primary succession. Most ecosystems are still constantly undergoing change, and studying succession after volcanic eruptions like Krakatau in Indonesia and Mt. St. Helens in the Northwest region of the United States helps ecologists understand paths that ecosystems take towards a stable community. Understanding these pathways, they can then predict how ecosystems might change in the future. 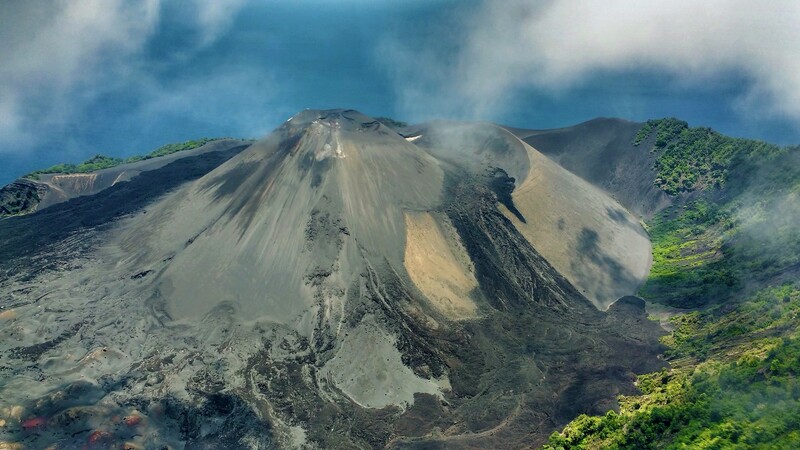 These studies show that there is hope – little over a century after a volcano left it barren, Krakatau now has a tropical forest. In high school ecology, we were taught that algae and lichen are the first or “pioneer” species to colonise new rocks. Breaking the rock into smaller bits, they facilitate more complex plants with roots to take hold and get nutrients to grow. Volcanoes like Barren, with small, frequent eruptions often wipe out small communities before they can develop into full forests. Where they do make it, the first plants on the scene are usually nitrogen fixers, groups of plants that have root associations with microbes that can fix atmospheric nitrogen. These plants then enrich the soil with this important nutrient and facilitate the growth of seedlings of diverse non-fixer species. This sequence of simple to complex proceed steadily until a full-fledged forest is formed. This is great, but still a myopic story, from a plant perspective. How do whole communities assemble, complete with consumers and decomposers – large animals and tiny microbes? Contrary to this “plants first” understanding, recent studies show that decomposers may be the first organisms to colonise a new rock! Even the first plants on the scene need some nutrients to get to work and the deposits of invertebrates and decomposers provide the first input of energy for algae, lichen and other plants to colonise. Scientists have found spores of soil fungi in freshly exposed ground, even when there is no life for several hundred kilometres nearby. They think that these spores are dispersed through air and spark succession. These studies provide new insight into how ecosystems function and what to expect when new land gets exposed. Volcanoes don’t just affect terrestrial systems, several volcanoes are still active under the sea and their eruptions reset coral reefs to square one, forcing succession to occur again. Volcanic ash not just smothers coral (as it does plants) but changes the nutrient composition of the water and the ocean floor. This altered nutrient mix, sometimes rich in heavy metals like iron, favours species different from the original reef. 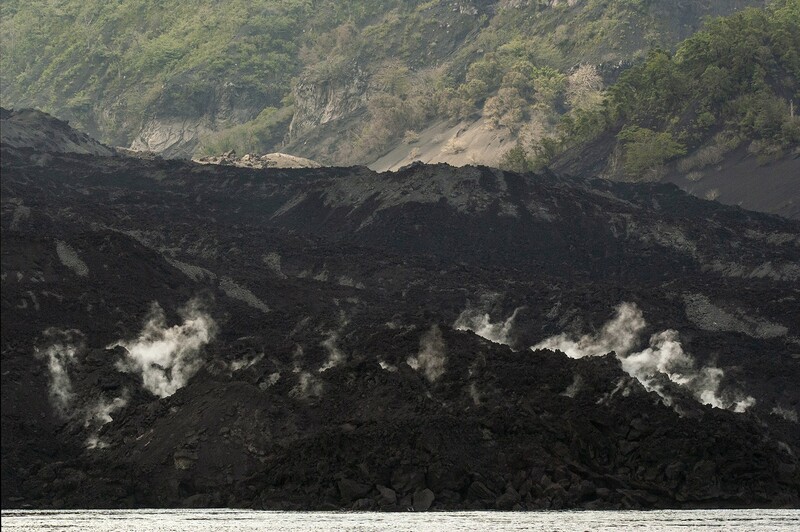 Reefs next to active volcanoes are often dominated by algae and exist in an alternate state. 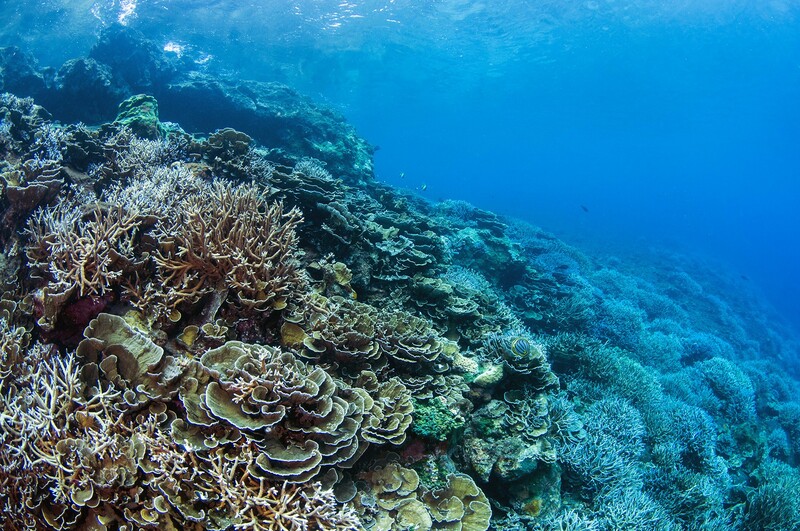 We still know embarrassingly little about how new coral reefs are formed from a bare substrate, but we are patching together information in places like the Andaman islands, through active experiments. These efforts go towards conserving, restoring and artificially creating live patches in a degraded reef, in the hope that someday an underwater forest will take hold. On December 26, 2004, a slip in the Indo-Burma plate boundary near the Andamans caused a massive earthquake and tsunami all over the Indian Ocean. The land turned into jelly, moving up in parts and down in others. In Wandoor, in South Andaman, the tsunami shifted some land near the coast, next to established mangroves. The land, previously vegetated with forest species, today gets regularly submerged at high tide, making it inhospitable for its earlier occupants. Over the last 14 years, this piece of land has been colonised by seedlings of different mangrove species – a fire of resistance risen from the ashes. With inputs from Umeed Mistry. To read the next story in the Andamans series, click here.